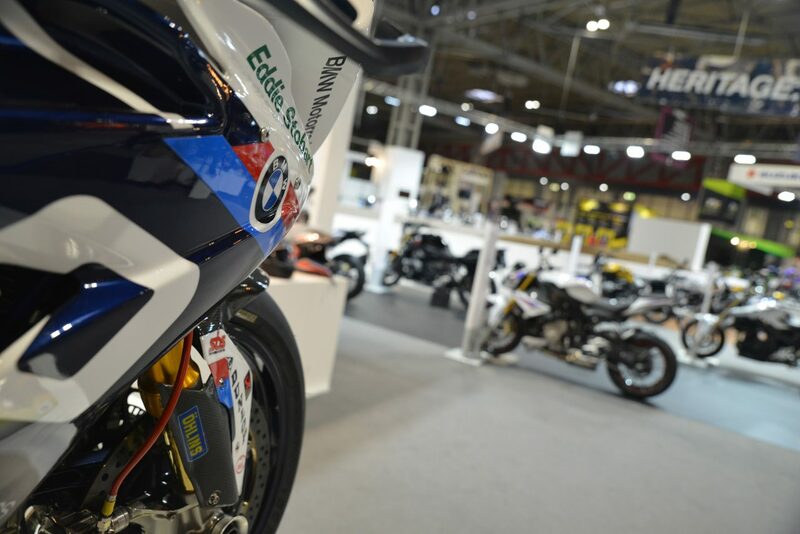 BMW Motorrad UK, Suzuki and Infinity Motorcycles have received awards for their stands and customer experience at Motorcycle Live 2018. Visitors to the UK’s biggest bike show were offered the chance to vote for winners in the following categories: ‘Best Manufacturer Stand’, ‘Best Manufacturer Feature’, ‘Best Non-Manufacturer Stand’ and ‘Manufacturer giving the best Customer Experience’. BMW were double winners, claiming both ‘Best Manufacturer Stand’ as well as the ‘Manufacturer giving the best Customer Experience’. They were praised for the quality of product on the stand and having ‘extremely happy’ staff who ‘made an effort to stand and talk’ to visitors. Suzuki were awarded ‘Best Manufacturer Feature’ for the second year in a row, for their restoration of the only full G-54 Grand Prix bike in existence at the show, using the Suzuki Vintage Parts Programme. The fourth award, for ‘Best Non-Manufacturer Stand’, was presented to Infinity Motorcycles. The stand offered show visitors all the top brands and a whole host of products to purchase – as well as special show deals. Tom Poxon, brand communications and partnerships manager at BMW Motorrad UK, said, “We are very happy that the customers who visited Motorcycle Live voted not only our stand the best at the show but also credited us for delivering the best customer experience. Over 100,000 bike fans visited Motorcycle Live 2018 over the course of the nine day show, enjoying displays from over 40 of the world’s leading manufacturers and over 220 exhibitor stands and retail outlets. Get the date for Motorcycle Live 2019 in your diary!